While landfall remains less likely to occur, "DOMENG" is expected to enhance the Southwest Monsoon (Habagat), which will result in moderate to heavy monsoon rains over MIMAROPA and Western Visayas beginning Friday, with gradual northward progression of monsoon rains towards the rest of the western section of Luzon, including Metro Manila during the weekend. 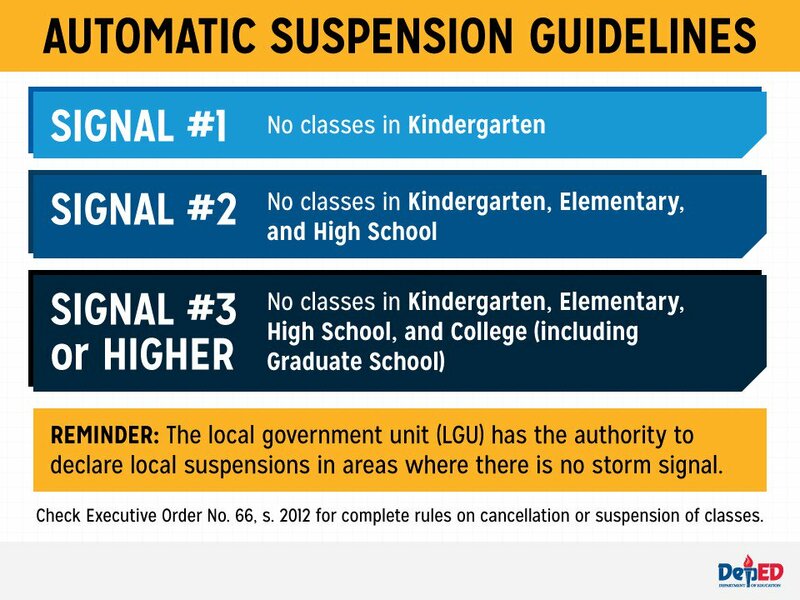 Here's the live list of class/ work suspensions as declared by respective LGUs on June 7, 2018. "DOMENG" continues to move north-northwestward over the Philippine sea. The combined effects of the Tropical Depression and the Monsoon Trough will bring moderate to occasional heavy rains over Southern Luzon, Visayas and Mindanao. 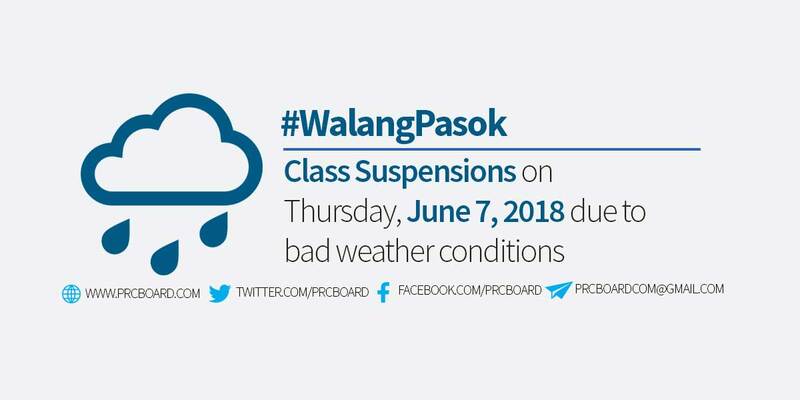 We advise our readers to bookmark this page to receive real-time updates on class suspensions for June 7, 2018. You may also follow us at our social media accounts via Facebook and Twitter.